The Oak Hill School District No. 41 was established long before the birth of Rogers in 1881. The name of this county school district was originally No. 68, but was changed in 1876 to District No. 41. The area of the Oak Hill District was all rural farm land but today would roughly be from New Hope Road to the south and north to Highway 102, and east to 13th Street and west to 40th Street. The schoolhouse still exists today at the corner of West Oak and 28th Streets. It was a one-room school with a concrete front porch, two front doors and one rear door with a woodshed and two outhouses in the back. Water was supplied by a well and a pump in the schoolyard. Public education for District 41 was provided by the school from the 1800s until the end of WWII. Ira Swearingen, the father of John Swearingen, was one of the early teachers who appeared to have taught at various times from1912 -1920s. The terms varied from five to seven months and the teachers were paid $50-$65 per month from 1912-1918. Records show that some of the teachers were Mary Gholson, Mary Gordon, H.F. Davis, Norma McGinty, W.H. Grigg, Marion Barnes, Fred Allred, Dora Riddle, Polly Crain, and Blanche Hubbard. As I look at a partial list of the students, many of these folks and their descendants became outstanding citizens and leaders in Rogers. Billie Jines interviewed Edith Kunz Hefner in her article and Edith related some real insight into school life when she attended Oak Hill from 1922 until graduating the eighth grade in 1930. Edith and her brother, Eddie, would ride to school each morning with Mrs. Riddle, the teacher, in a horse and buggy. From the first through the eighth grade, Edith was the only girl in her class. The school house was the center of the community and school programs and events were held there. 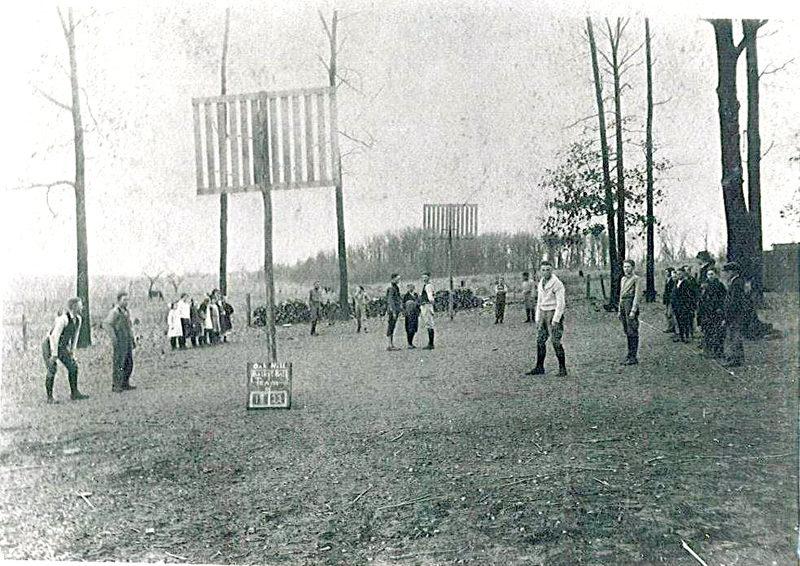 Competition between the adjacent Droke School and other county schools involved math and spelling contests, races, and other activities. Pie suppers, box lunches, and other community events were held to support the school and other causes. During WWII, a local newspaper reported that on March 6, 1942, approximately 100 persons attended a pie supper at the Oak Hill schoolhouse and netted $29.30 for the Red Cross war fund. A pie auction, cake walk, singing, and music were part of the festivities. Edith’s parents, Peter and Cora Kunz, were musically talented and played the accordion, French harp and piano at many of these events. As Rogers expanded west, it began taking parts of the huge Oak Hill School district. In 1921, The Rogers School district absorbed half of the Oak Hill district. Finally, on October 27, 1944, the district became a permanent part of the Rogers School System. The school closed in 1944, but the one-room building was acquired by the Grange, a farm organization, and continued to serve the community. During the 1950s – 1970s, 4-H youth programs and home extension courses were held there. Marvin and Loretta Fairchild live a few blocks east of the school on Oak Street and taught 4-H courses on public speaking, sewing, and cooking in the 1960s. Marvin said that Oak Street was a dirt road so rough and rutted that they would circle around using Highway 71 (West Walnut Street) to get to the Grange building. Many of our parents and grandparents attended one-room schools like Oak Hill with one teacher for all eight grades and received a superior education with no air conditioning, lunch rooms, computers, or other luxuries provided by today’s schools. 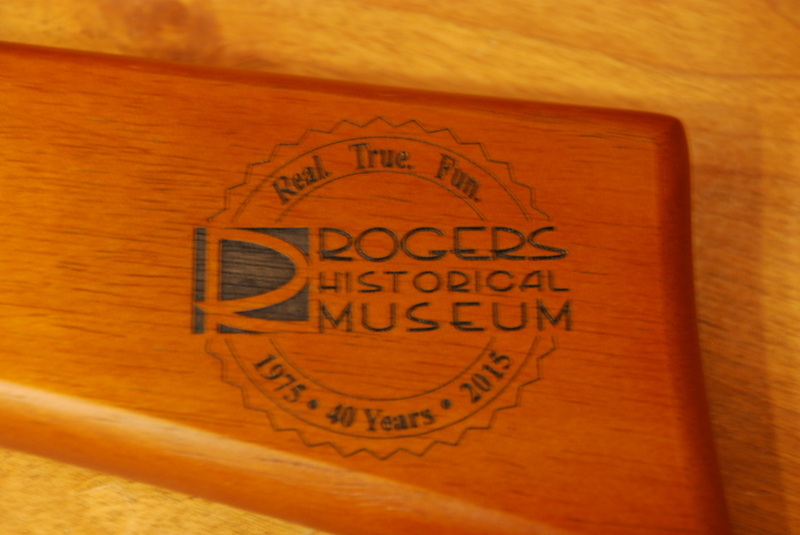 The new Rogers Historical Museum's 40th Anniversary Commemorative Daisy BB guns are finally here. These limited edition collector's guns make great gifts and all proceeds go to the non-profit Friends of the RHM to help preserve our heritage. If you love Rogers and Daisy, click on the picture.